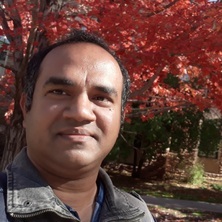 Dr. Mollah Rezaul Alam joined at the School of ITEE of the University of Queensland (UQ) as a Postdoctoral Research Fellow in January, 2019. Prior to joining UQ, he worked at the National Renewable Energy Laboratory (NREL), Golden CO, USA, under collaborative research program between Endeavour Research Fellowship, Australia and NREL, USA. His previous employment also includes Casual Lecturer at University of Wollongong (UOW), Australia (January 2018 – June 2018), Assistant Professor at American International University-Bangladesh (January 2015 – December 2017), and Telecom Engineer with expertise in the field of Intelligent Network & Value-Added-Services at Robi Axiata Limited, Bangladesh (March 2006 – March 2011). Dr. Alam received his B.Sc. degree in Electrical and Electronic Engineering from Bangladesh University of Engineering & Technology (BUET) in 2005, and the Ph.D. degree in Electrical Engineering from the University of Wollongong (UOW), Australia in 2015. His research interests mainly include characterization of power quality events, machine learning, pattern recognition, fault detection, classification and analysis considering the impacts of distributed energy resources and dynamic loads.